Shane O’Hara (left) director of Team 518. 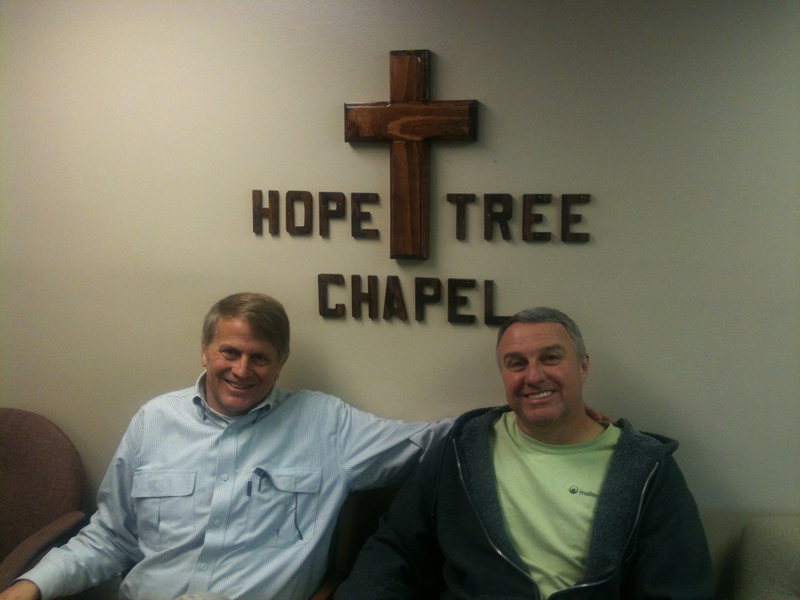 Dave (right), Inmate Chaplain & Church Planter at a South Louisiana Jailhouse. Dave is now a hero of mine. Met him this week and learned about his church starting endeavor INSIDE one of South Louisiana’s Jailhouses. He served there as an inmate chaplain. He will be released on Friday and will continue his mission on the OUTSIDE. Pray for Dave and others like him who are overcoming and helping others overcome through prison ministry. 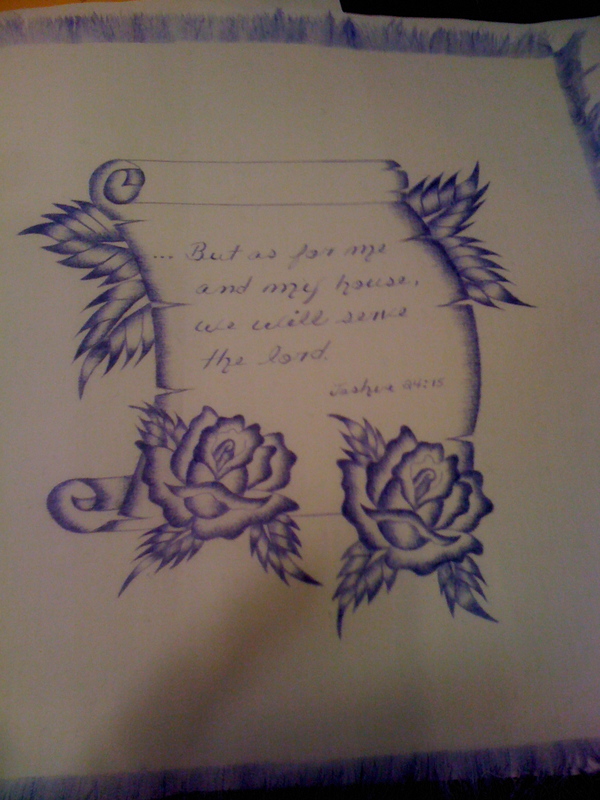 Pray for the many Inmate Chaplains, reaching out to those INSIDE like none of us can. If you’re interested in joining men like Dave and being ON MISSION to those in prison, shoot me a line. Laborers are needed to facilitate Celebrate Recovery, Fatherhood classes, Financial Planning classes, Discipleship courses, or help with churches starting INSIDE. Contact me if you’d like to get involved. We have a worship gathering at our local jail every Sunday at 9AM. Celebrate Recovery is Monday & Thursday, 7pm-9pm. Fathering Course called Malachi Dads meets on Sunday’s at 7pm. There are other opportunities to teach and encourage. In 2012, we’re hoping to get an ongoing Financial Planning, Parenting, and Healthy Relationship courses going. As well as continue with quarterly Block parties for inmate families and weekly worship gatherings. 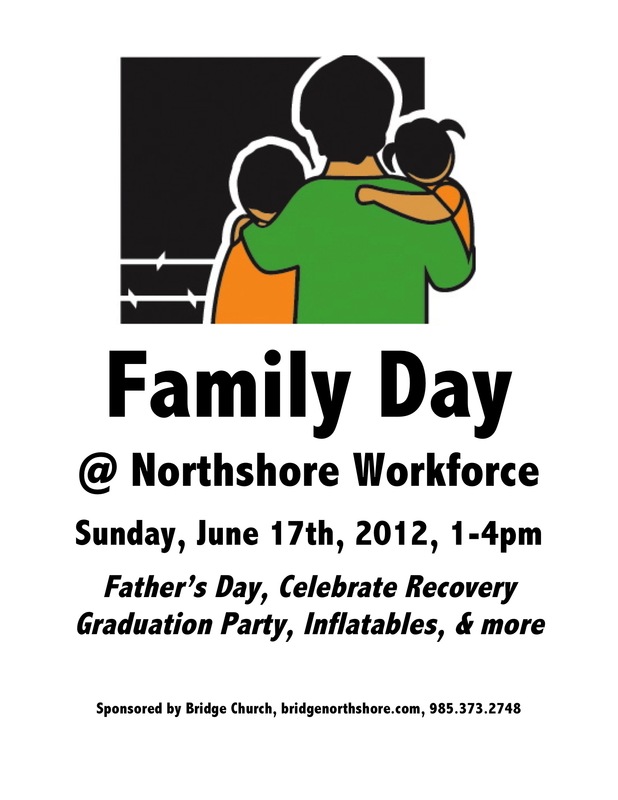 This Sunday we’ll be doing a special Father’s Day Block Party for Inmate families. Flyer is attached. Call me if you’d like to participate. I’ve taught classes in our local jail for 3 years now. I ask every class, approximately 70 men at a time, how many heard the above statement as a child. Every time 33%+ raise their hands. Unscientific. But if we could have added positive words of affirmation and/or Gospel centeredness to these lives, would things have gone differently before now. Can’t help but ask that. These are words that shaped my mind and heart as a boy and I still love to hear them today. Trying to say them as many times as I can to my boys at home, to my new friends at our local jail, and to young boys that we’re hoping to get started in a mentoring program at local multi-housing complexes and to anyone else that will listen. I also remember other words as well. In the 4th grade I tried out for basketball and didn’t make the team. I still remember the smell in the room, the sounds around me, and everything about that moment when the coach said, “YOU’RE NOT GOOD ENOUGH THIS YEAR!” She was right. And it inspired me to start practicing and better my game before try outs the next year. But HARSH and CARING words can both stick with us and shape our futures. What words have shaped you? Are you passing them on to others? Are you passing on death or life to those around you with your words? after listening to your classes and getting to know ya’ll a little bit, you truly love not only Christ Jesus, but even a man like me. You guys have helped me and other see that despite our current situation and circumstances we can learn a new way to live. Thank you for your honesty and for caring about us. Getting involved in prison ministry is as simple as being willing and ready to be used. Contact me about local opportunities. Monday’s at our local jail, our church is doing a fathering group called Inside Out Dad. Why? The #1 request on our prison survey form was help with Parenting/Family Issues. Also, for every inmate (1,200+ in St. Tammany Parish) there is a family system on the outside that is hurting, at risk, and in need of the gospel. 20% of inmates are children of inmates (click here for stats on Father absence). 2.2 million children in the U.S. under the age of 18 have a parent in prison. The average age of these children is 8 years old. Compared to their peers, children of inmates are more likely to also end up in prison. If we prevent a child from following a lifestyle of crime we prevent one or more people from being a victim of crime, and cost to the government (estimated at $24,000 per year per inmate; $49 billion nationwide last year). A child’s connection with their Dad is key to many social indicators. I could go on, but in two weeks this study has touched deep issues that get to the heart of the problem of crime and incarceration. “I never had another person tell me, ‘I love you.’ growing up.” “I’ll never have kids b/c I don’t want to cause them the pain that my dad caused me.” And a deep longing to get it right… This is from the journal of an inmate in the group. I thank God for not only second chances, but many chances. And I would like to take this opportunity to get my life on track so that I can be a positive influence to my kids and grandkids. I look forward to hearing the words “Daddy” and “Grandpa.” And to being able to fulfill what those words really mean. The Old Testament closes with a promise in Malachi 4:6 – “he will turn the hearts of fathers to [their] children and the hearts of children to their fathers.” Praying to see hearts turned. Life Coaches, Inc. – Local ministry linking fatherless children with mentors. Shane O’hara also leads fathering groups at Angola, Rayburn Correctional, and Hunt’s in Baton Rouge. He’s on the teaching team at our local jail as well. Also, look for info on volunteering with Shane at One Day With God or Returning Hearts event. Inside Out Dad – the 12-week workbook we’re utilizing at our local jail. Works good for facilities where sentences are short. Check it out and consider starting a group at your local jail. 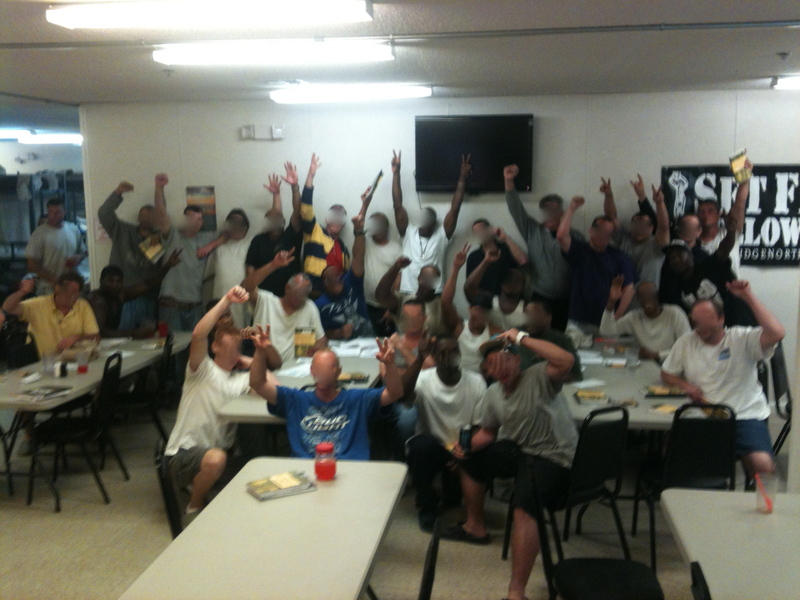 Malachi Dad’s – a longer, 12-month program for prisons or facilities with men that have longer sentences. YOU! If you know a single mom or family with an incarcerated loved one. Have them over and love on them. If you know a kid whose dad is incarcerated. Take them to the movie, pay their way into a community sports program, invite them to your church or on your family vacation. That would be more effective than 52 sermons. Let me know if you’d like to help provide the books and resources for our inmate programs at the St. Tammany Parish Jail.